Monster Typhoon Mangkhut has slammed into the northeastern tip of the Philippines, bringing torrential rains and battering winds that are expected to affect millions of people. Mangkhut, also known as Ompong in the Philippines, made landfall at around 17:40 GMT on Friday (1:40am on Saturday, local time), according to the Philippine weather bureau, PAGASA. The massive storm, which forecasters have called the strongest typhoon this year, blew in windows, hurled debris and knocked out power lines when it hit the main island of Luzon in the pre-dawn darkness. It retained its ferocious strength on Friday, but gained speed while shifting towards a number of densely populated provinces, where a large evacuation was carried out earlier in the day. How Should We Face the Challenge of Climate Change? 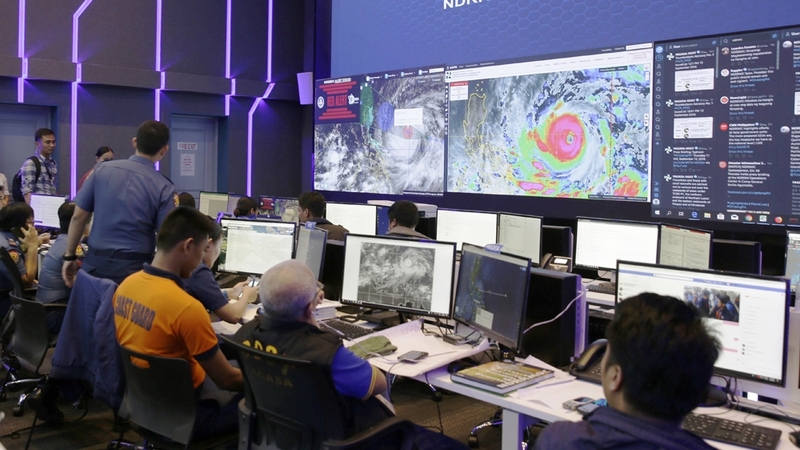 In a press briefing at 18:00 GMT, PAGASA’s senior weather specialist, Chris Perez warned that the storm surge could be between three to six metres high in coastal areas in the northernmost tip of Luzon. The Hawaii-based Joint Typhoon Warning Center categorised Mangkhunt as a super typhoon with powerful winds and gusts equivalent to a category-5 Atlantic hurricane. In comparison, Hurricane Florence, which is currently lashing the US East Coast, is classified as category 1 storm. Mangkhut is packing winds of up to 205 kilometre an hour and gusts up to 255km/h, PAGASA said. But the US Navy’s Joint Typhoon Warning Center said maximum winds could reach 268km/h and wind gusts of up to about 324km/h. The storm is estimated to be 900km in diametre covering the entire northern and central parts of Luzon. Combined with seasonal monsoon rains, it could bring heavy to intense rains that could set off landslides and flash floods. As of 15:30 GMT on Friday, the Philippines has raised the highest alert level in the northern provinces of Abra, Apayao, Cagayan, Ilocos Norte, Kalinga, the northern part of Isabel and the Babuyan group of islands. Those areas have a combined population of at least 3.7 million. But other neighbouring provinces are also expected to be affected, bringing that number to more than five million. Even if the typhoon weakens after slamming ashore, the gusts will remain destructive, government forecaster Rene Paciente warned. “It can lift cars. You can’t stand, you can’t even crawl against that wind,” Paciente said at a news conference in the capital, Manila. More than 15,000 people were evacuated in the northern provinces by Friday afternoon, the Office of Civil Defence was quoted by the Associated Press as saying. But the country’s disaster management office said more than 30,000 have been evacuated. 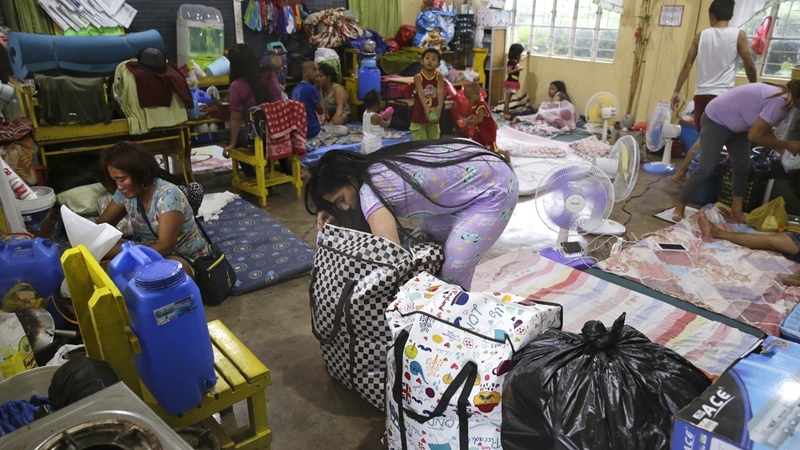 Al Jazeera’s Jamela Alindogan, reporting from Cagayan province, said at least 100 families, mostly from fishing and farming villages, had taken shelter in a school. Mangkhut is the 15th storm to batter the Philippines this year. An average of 20 typhoons hit the country each year. Authorities are taking extra precautions as they draw comparisons with Typhoon Haiyan, which devastated central areas of the archipelago in 2013, and killed 6,300 people. Philippine President Rodrigo Duterte on Thursday said he would consider seeking assistance from the international community over Typhoon Mangkhut if it “flattens everything”. Hong Kong and other parts of south China as well as Vietnam are also in Mangkhut’s sights and at risk of being hit during the weekend. Social media users and radio commentators in Hong Kong said they were stocking up on food and supplies. The Hong Kong Observatory warned residents to prepare for the typhoon saying it posed a “considerable threat”.